Was the first moon landing a fake? Are you afraid of cyber attacks? Will 2024 Summer Olympics be hosted in Paris? 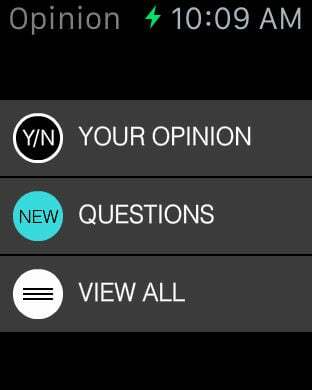 Take your worldly, funny or puzzling questions to this simple polling app and find out what people think. 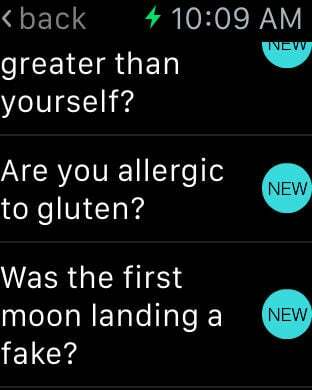 Enter a simple “yes” or “no” question in your iPhone, and participate in other polls by tapping “yes” or “no” on your Apple Watch, or on the push notifications. 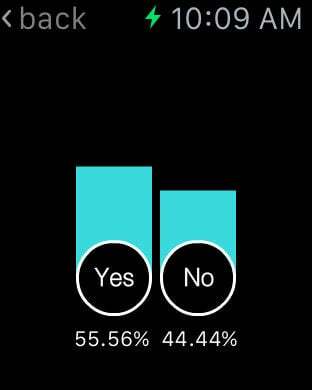 Check poll current results after you participate, or in the glance view. It's anonymous. It’s simple. It’s free. And it fits on your wrist. Time to download the app? Yes? No? * Questions are moderated against strict in-house rules and are generally validated within 24h. We do not provide reasons for a rejection. Questions require a "yes" or "no" answer and must not exceed 50 characters. * You may enter a name but this is not mandatory. No account is needed to use the App. * The results may not be entirely representative and do not replace a real survey. Remember, this is just for fun.